It’s only the second month of 2018, but Ontario had already sent out its third round of invitations under the province’s Express Entry Human Capital stream. It’s a new year and immigration to Canada is in full swing, specifically immigration to the beautiful province of Ontario. It’s only the second month of 2018, but Ontario had already sent out its third round of invitations under the province’s Express Entry Human Capital Priorities stream. The third draw was announced on February 8, 2018, and the province issued 89 invitations with Comprehensive Ranking System(CRS) scores in the range of 433 to 444. Those invited to apply submitted their Express Entry profiles between January 1 and January 25, 2018. What is the Ontario Human Capital Priorities (HCP) Stream? The HCP stream is designed to assist Ontario in finding skilled workers who want to live and work in Canada’s largest province. How do they choose the candidates? The province views the profiles of candidates already in the Express Entry pool who have the education, work experience, language skills and other factors, the province needs. Another criteria that will help you to immigrate to Ontario, is if you are able to quickly integrate yourself into the labor market. WHY DO YOU WANT TO LIVE AND WORK IN ONTARIO? 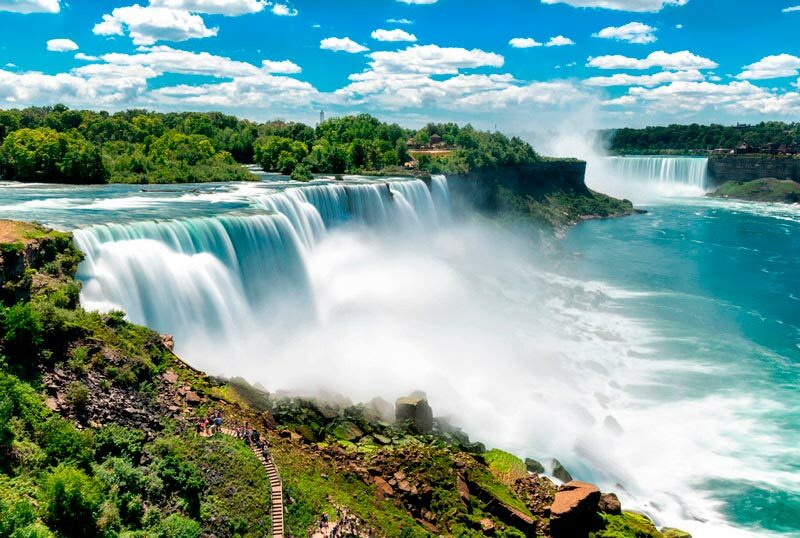 Besides being Canada’s main economic hub, Ontario is also known for its natural diversity, including vast forests, beautiful provincial parks, four of the five Great Lakes and the world-famous Niagara Falls. It is also home to two of the most popular cities in Canada- Ottawa, and Toronto, which attract artists, entertainers, and intellectuals from around the world. Ontario’s demographics have been shaped by centuries of immigration to produce a diverse and multicultural society. There are also thriving religious communities of every type because Canada is accepting of all ethnic groups and all religions. Catholic and Protestant are two large groups, alongside sizeable Muslim, Hindu, Jewish, Buddhist, and Sikh groups.